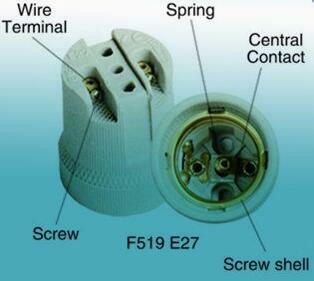 E27 holder Dimensions ; 45mm diameter, 57mm overall length. Modern look glazed pendant edison screw (ES) e27 holder with high gloss finish. 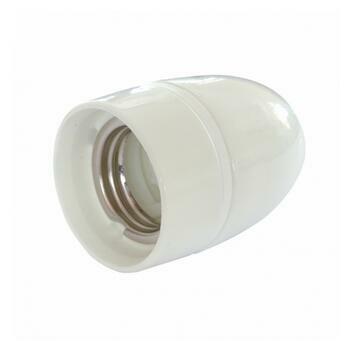 This is a high quality E27 porcelain lamp holder suitable for decorative lighting and in particular for use without a lamp shade where decorative bulbs are used. This is an updated modern design based on the vintage or industrial look lighting. 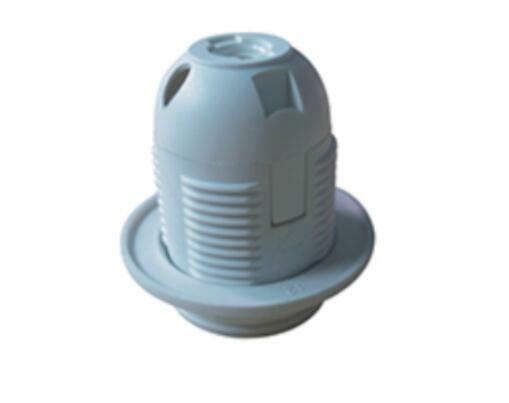 Suitable for use with normal lamps of up to 100 watts. 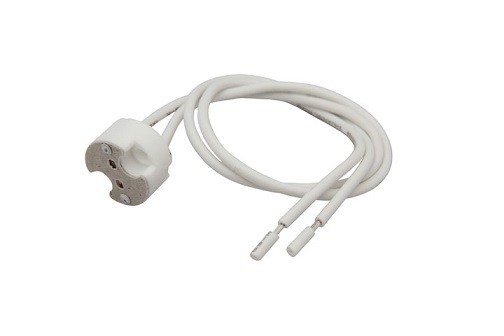 M10 (10mm) cable entry. Metal accessories: aluminum plated yellow, iron galvanized blue zinc-plated iron, iron-plated color, iron, nickel-plated, nickel-plated brass. 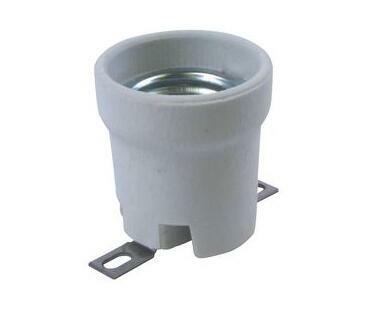 E27 holder Main applications: outdoor lighting, tunnel lighting, floodlights, projection lights, searchlights, lawn lamp, buried lights, pole, road lighting, garden lights, landscape lights, docks and bridges lights, stage lighting, photography lighting, medical lamps, spotlights, cups, lamps, advertising lamps, ultraviolet lamps, mosquito lamps, infrared lamps, mining lamps, underwater lamps, explosion-proof lamps, decorative lamps, the machine fixtures indoor lighting, grid lamps, table lamps, chandeliers , wall lamps, floor lamps, ceiling lamps, downlights with accessories.